So simple yet so fun! 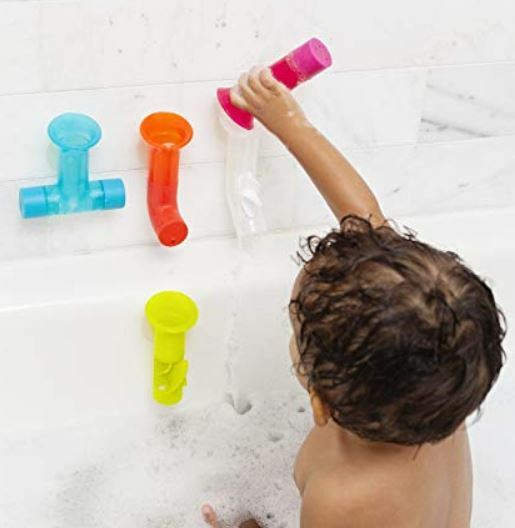 Get this Boon Building Bath Pipes Toy Set for just $7.48 (Retail $14.99). Note that the discount will apply during checkout. These bath pipes suction to the wall of your bathtub so the water goes back in the tub and not on the floor and the pipes can be used individually or put together to make a chain. Each pipe has a unique feature or shape for water to flow through.